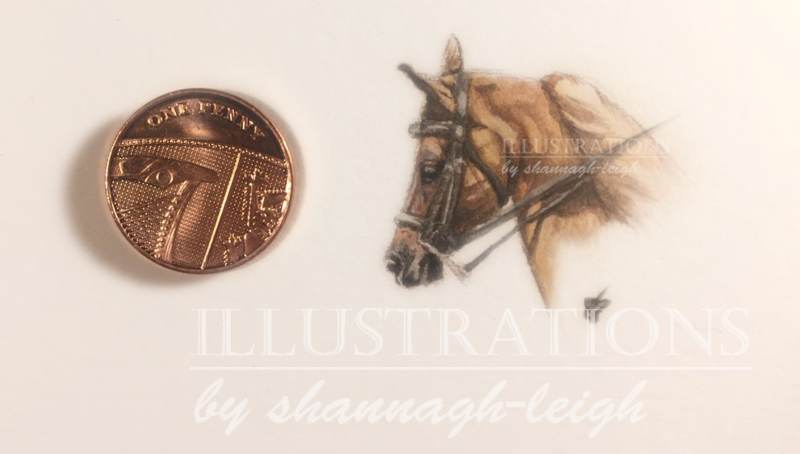 This miniature horse portrait is done in traditional watercolour. As you can see its not much bigger than an English penny. Approximate size is about 1.5 x 1.5 cm.